Every year I hear from people that are planning a trip to Morocco and either don’t know or consider Ramadan in their trip planning or can’t visit any other time. Ramadan presents a few challenges to tourists but it doesn’t mean all is lost. In hopes of answering some of the most common questions people have I gathered these questions in one place. Ramadan is the 9th month of the Islamic calendar. It is considered the holiest month for Muslims and one which most people in Morocco participate in at least someway. Observant Muslims fast from food, all liquids, smoking, any sexual interaction and impure or bad thoughts from sunrise to sunset every day for the month. They also visit the mosque and preform additional prayers and religious tasks during this time. At sunset, after the 4th call to prayer, an iftar (breakfast) occurs. During this time you will likely discover the streets of even the largest Moroccan cities are completely deserted as people are in their homes to eat. Dates, harira soup and chebakia pastries are very commonly eaten in Morocco to break the fast – along with lots of water! 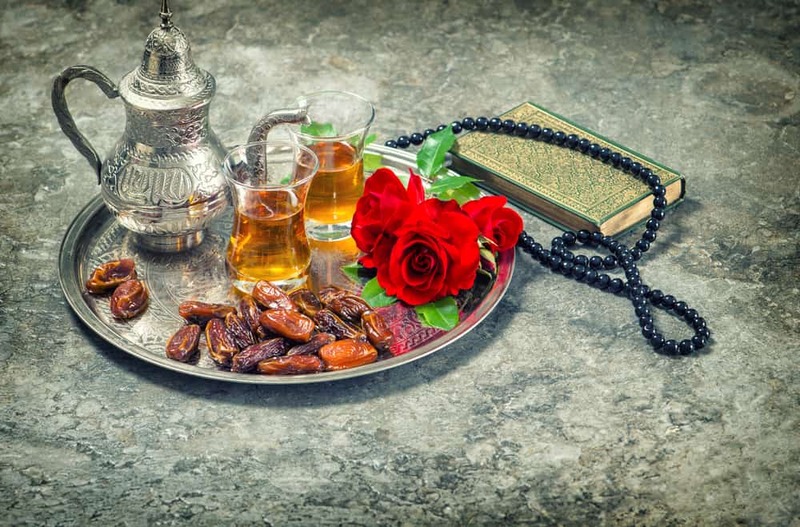 Ramadan changes every year, moving ahead about 10 days in the Gregorian calendar. We can’t say exactly what the date of Ramadan will be as it depends on the sighting of the crescent moon. However in 2018 in Morocco the dates are projected to be from May 15th – June 14th. However it can start a day or two earlier or later. While Ramadan will end in mid-June many families will take additional days, and up to 1 week off of work at the end of the month to celebrate with friends and family. Why does it matter if I visit during this time? In some ways, it doesn’t. But, you will likely have a very different experience if you come during Ramadan. Fasting can cause people to have a much shorter temper and while part of the fasting experience is meant to control this, it’s not uncommon to see outbursts. It may also be that certain things are closed or operate on a very different schedule during the month; see the next point for specific information on this. Ramadan is meant to be a very holy and religious month. People make it a point to pray at the mosque nightly so you will find some streets will be closed to accommodate people. Mosques will use loudspeakers in some instances so that all of the congregates can hear so expect to hear this nightly in neighborhoods. You may discover that some shops and restaurants are not open during this month. Most all will have revised hours where they will open later and close earlier; this includes national monuments, banks and more. During Ramadan Morocco changes their clocks so if you will be arriving at the very beginning of the month or at the very end you should be aware that the time will go backwards one hour at the beginning and forwards one hour at the end. From the hours of 7pm – 9pm you should not expect to do much. As mentioned earlier most people are at home to break their fast and make the final two prayers of the day. There will not be much open. Afterwards things will begin to open again as people go outside, especially when Ramadan is in the summer. People will eat dinner around 11pm or midnight so they certainly stay awake much later! On this same note, people will sleep in much later. You shouldn’t expect anything to open before 10am and in many cases it’s later. Days and nights are almost flipped around so you may need a good measure of patience! Take the chance to sleep in and enjoy a more leisurely trip. Are there rules visitors need to follow during Ramadan? There are no legal rules that you should follow however there are ways you can still be a good guest if you’re visiting during Ramadan. The first is to dress more conservatively. As mentioned this is a month where people really are trying to focus on religious devotion. Covering up bare skin when walking in public during the daytime is really a very polite and appreciated gesture for both men and women. 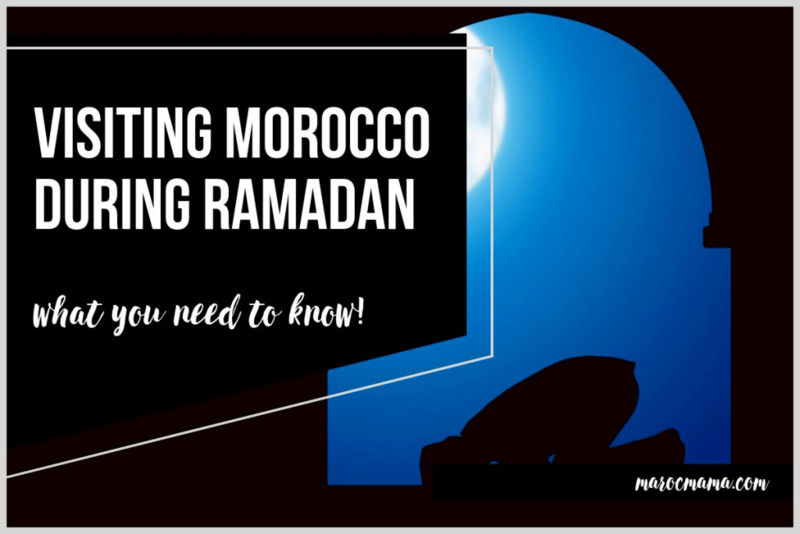 It is illegal for Moroccans to eat and drink in public during Ramadan unless they meet special requirements where they don’t need to fast (such as illness or pregnancy). These rules do not apply to visitors or non-Muslims however if you can avoid doing this on the street. Inside restaurants and being a bit more discrete is generally appreciated. Finally, alcohol is NOT sold beginning the 10 days before Ramadan and throughout the month. It is HIGHLY frowned upon to drink during this month and especially to show any public drunkenness. Some riads, hotels and nightclubs may still have alcohol on offer however you should not be surprised to discover this is not the case. So, should I NOT visit during Ramadan? You should think about it before you book your trip. I don’t want to say there’s any bad time to come to Morocco but you should be informed and aware of what a visit during Ramadan means. You also should consider the type of traveler you are and the experiences you want to have. If you’re coming to party and shop then Ramadan might not be the best month to make your trip. If you want to experience a unique cultural experience and have a flexible and laid-back personality to go with the flow then Ramadan could be a really great time for you to come. If I come during Ramadan is there anything I should experience? I also would recommend taking the chance to talk to Moroccans you might encounter to learn more about this holiday and what it means to them. While non-Muslims can’t enter mosques in Morocco, if you pass by a mosque at the end of the fasting day and witness the rows upon rows of people praying it truly is a very moving experience. This is especially true in big mosques like Koutoubia in Marrakech or Hassan II in Casablanca. Please don’t take pictures but do take a moment to observe. Ramadan presents unique challenges to visitors to Morocco but it also provides for an amazing learning and cultural experience that is difficult to replicate elsewhere. 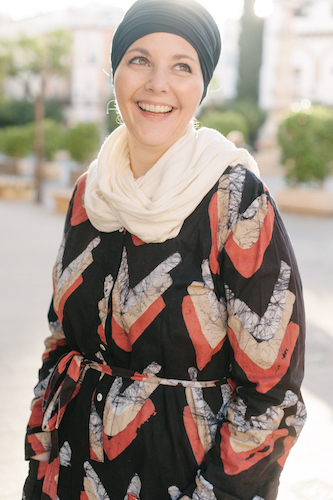 Hi, I am wondering if you have advice for visiting the Marrakech medina during Ramadan. Will everything open late at night? Or is it best to visit from around 11am-4/5pm? I’m also wondering if you have advice for the holidays/ closures around the city after the end of Ramadan. We are visiting during that week this year. I would say earlier in the afternoon is better. Around 5pm/6pm things will all start to close up. Between 7-9pm (at least) most everything will be closed. After that and into the evening somethings will open up but not really the shopping areas.